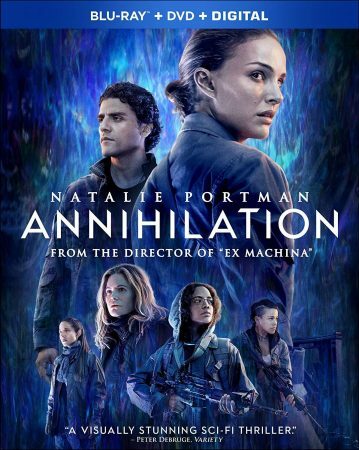 So… Annihilation (dir. Alex Garland, 2018) is now on DVD and Blu-ray and can be purchased on Amazon Prime… anyone else noticed this? 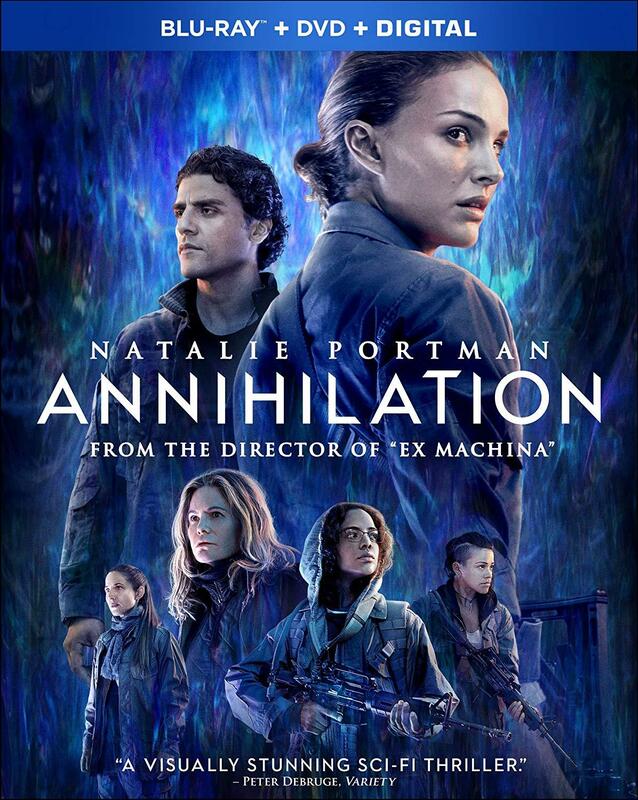 As of 1st April 2019, Annihilation is available on DVD and Blu-ray in the UK and USA. No, I have not been commissioned by Amazon or Alex Garland to promote this fact. But I did find out about it on my Amazon Prime account, and I believe it should be of interest to those concerned about the broader issue of media distribution. Netflix seems to have been incredibly successful in recent years, in terms of attracting many filmmaking talents with its finances, in order to produce original content. But some of its latest trends and developments suggest that this success may not be enough. Not many Netflix original films are available on DVD and Blu-ray. Crouching Tiger, Hidden Dragon: Sword of Destiny (dir. Yuen Woo-ping, 2016) is only available as an expensive East Asian import copy to UK audiences. Or you can purchase the Kindle edition of the book it is based on. Other Netflix original films do not seem to be available outside of the platform’s catalogue, looking back as far as Beasts of No Nation (dir. Cary Joji Fukunaga, 2015). 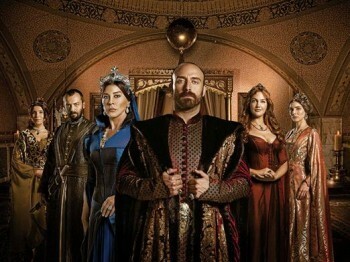 TV series, or Original Shows (as Netflix calls them) have been released on DVD and Blu-ray – as seen with Orange Is The New Black, House of Cards and it’s Marvel titles. 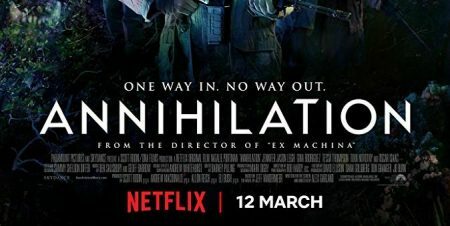 Annihilation was also subject to a limited theatrical run in 2018, mostly within the USA, as has been noted with several other subsequent Netflix originals. But my focus here is its availability on home media platforms. Annihilation appears to be the only Netflix film that has, as of this date and time, crossed over to another VOD platform, and also to DVD and Blu-ray. The UK release of Annihilation in 2018 – at the time, exclusively on Netflix. Perhaps it means that Netflix is not the ultimate provider of content, and nor is it the leader of the home media market that many people often assume it to be. It has been reported in many news articles that streaming services and their catalogues should not be relied upon. 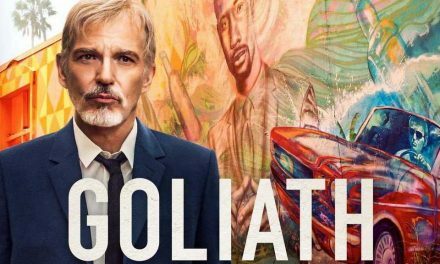 Netflix, Amazon and other competitors change their titles on a regular basis (usually every month) – meaning one title’s availability is often temporary on one particular platform. In an age where celluloid filmmaking and archival is increasingly sparse and expensive, DVD is now often seen as the most reliable means of archiving a film for personal consumption – especially where a Blu-ray copy may not available (Hayes, 2013; Goldberg, 2018). 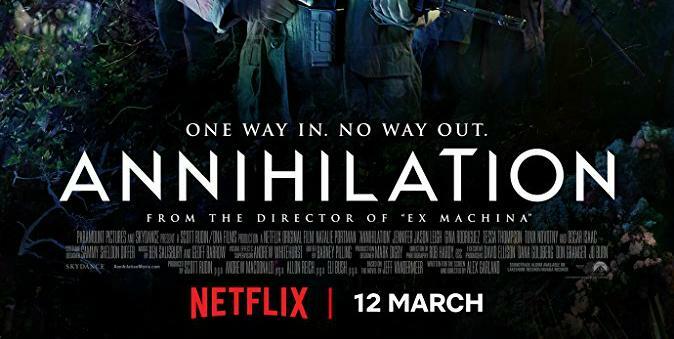 Though Annihilation is currently the only first example in the UK (of a Netflix film being made available on DVD), it has not been met with much promotional fanfare – by either Netflix or its original production studio (and DVD distributor), Paramount. Furthermore, it was made available in the USA and other Region 1 territories in April 2018 – again, with next to no marketing. This is curious in of itself. Though there has been a long-term decline for several years, DVD and Blu-ray sales around the world can still generate hundreds of millions of dollars in revenue (Lopez, 2018; Arnold, 2019). As Annihilation was originally released by Netflix, much of what follows is speculation. This is because Netflix has historically been not very forthcoming in terms of its production, exhibition and distribution strategies for its titles (Lobato, 2019). Many news stories have been written over the last few months about the numbers of titles that have gained many views on its streaming services (Charara, 2018). But questions remain about how many of these people watched the film entirely, or if they have watched the film more than once. As Netflix charges a monthly subscription fee, the number of views one film gets can also seem immaterial, in contrast to the number of cinema tickets that are sold for a new film’s release. In addition to recent reports for the viewing figures for certain titles on Netflix, much has been commented on in terms of the spending budget that Netflix is burning through for the production of original content. Currently this is estimated at $15 billion (Spangler, 2019). How can Netflix hope to return on these spending investments? This question has to be asked as Netflix operates a no-charge cancellation policy, which can attract consumers, as much as others may be deterred by its increase in subscription prices. The answer could be sales of its media content through other platforms. As of 1st April 2019, it appears that only Annihilation has been granted pay-per-view VOD distribution via Amazon, as well as distribution on DVD and Blu-ray. I have admired Amazon’s film and TV selection for some time. I have a subscription, and watch what I can, but it expands and contracts at a phenomenal rate. Titles are acquired from numerous international territories, and they also drop off just as quickly. But it also launches new ventures on a regular basis – such as the acquisition of broadcast rights to sporting events, like the Miami Open, and other tennis tournaments. The release of Annihilation on its transactional VOD service seems to be the platform’s latest coup. It also seems to be that Netflix does not want to let very many people know about it. I could be making too much about this. It could just be a blip on an otherwise, and so far, successful marketing campaign for Netflix and its continuing production of original content. But only time will tell if Beasts of No Nation, Okja (dir. Bong Joon-ho, 2017), Bright (dir. David Ayer, 2017), The Ballad of Buster Scruggs (dir. Ethan and Joel Coen, 2018), The Irishman (dir. Martin Scorsese, 2019) – and numerous other feature-length titles – get made available through other means (e.g. DVD and Blu-ray, or digital TVOD services). Such changes in the future – whether or not they are promoted by Netflix – could indicate future developments in home media consumption. Subscription services are convenient to a certain extent, but they cannot guarantee consumers constant access to titles that they want to watch on a regular basis – especially if their titles’ availability is often subject to change. Also, how many subscription services can consumers afford to sign up for? As more and more platforms become available, each with their own subscription fees, the likelihood of competing aggregator services increases – whether this is through cable and satellite TV providers, or other companies. In any case, the under-the-radar release of Annihilation, on DVD and Bluray, could be a significant milestone in the history of Netflix and its competitors. 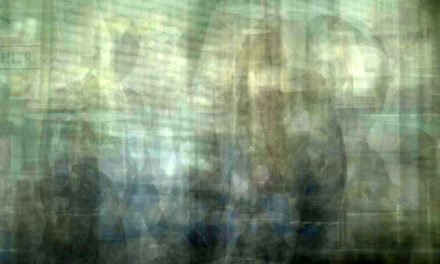 Jonathan Wroot is Lecturer and Programme Leader for Film Studies at the University of Greenwich. His PhD thesis examined the UK distribution and marketing of Japanese films on DVD. His work has been published in several journals and edited collections, including Cult Media and DVD, Blu-ray and Beyond (co-edited with Andy Willis, and published by Palgrave Macmillan), and The Palgrave Handbook of Asian Cinema. NextCfP: Feminist Media Studies “Independent Women: From Film to Television” Deadline: May 31, 2019.